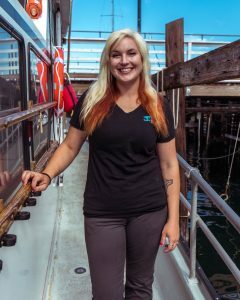 Our whale watch captains have been working in the Monterey whale watching industry for years. 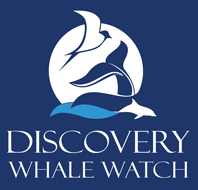 They know the features of the bay and are able to anticipate the most likely locations for whale sightings. They are committed to ensuring passenger safety on board and strive to make the trip as comfortable as possible as well. We know that getting good views of whales and lining up the boat for photography are essential to having a good trip. Our captains love what they do and it shows! 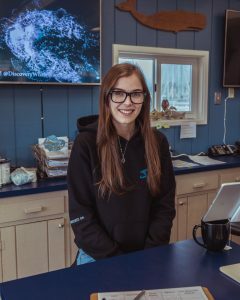 Our marine biologists and naturalists are passionate about the oceans and marine life. 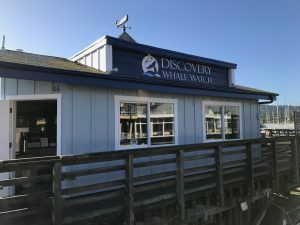 They will teach you about our local ecosystem in Monterey Bay while out on our daily whale watch trips. 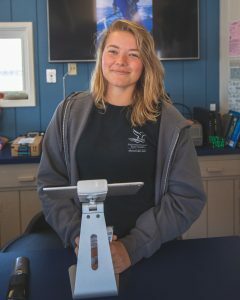 Our marine biologists and naturalists either have a degree in marine biology, marine science, or they are on their way to earning one. We strive to inspire the next wave of ocean enthusiast while out on our trips. 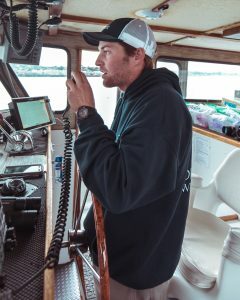 You will learn about marine life and experience hands-on demonstrations and have an opportunity to interact with your crew one on one. 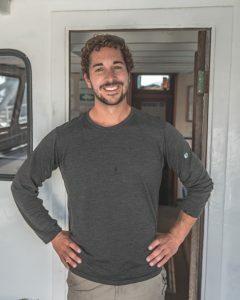 Feel free to ask questions and expand your knowledge about our wonderful marine life with our crew! 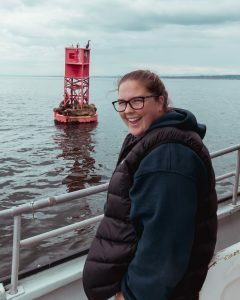 Our marine biologists and naturalists are also dedicated to marine research; they will be collecting research data while out on the trips for our collaborators on the west coast. We have a very versatile crew here at Discovery. You may notice that some crew members have multiple specialties in their bio. Check out all the staff members throughout the page to see all the roles we each fill on the team! 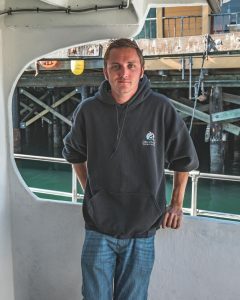 Our deckhands are a crucial part of our team onboard, during our whale watch trips. 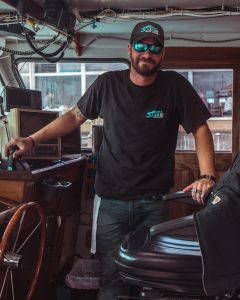 They are your go-to crew member on board throughout the trip. They are happy to help you in any way they can during the trip, by answering your questions and by helping point out the wildlife to you. 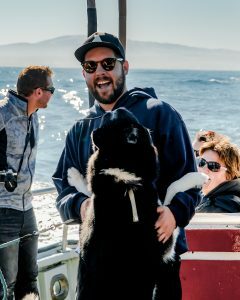 Our deckhands are ocean enthusiasts and love to share their excitement about Monterey Bay! Our office staff is there to welcome you from the very start! 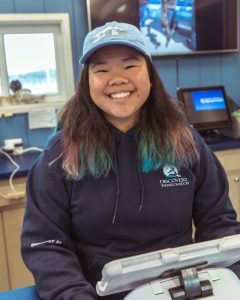 If you call, email, or walk-in, our team is happy to answer your questions and help you sign up for a whale watch trip. 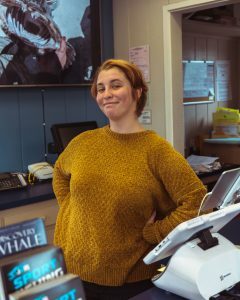 We are dedicated to customer service and very knowledgeable about whale watching in Monterey Bay. Favorite Hobby: I enjoy activities such as hiking and rugby, but also appreciate a good book. 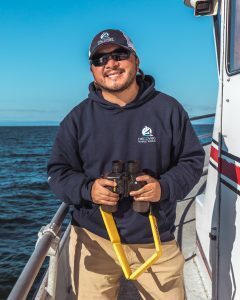 Our photographers are experts in photographing whales and other marine life. We will have several photographers on board throughout the week to document our trips and capture those memorable moments with wildlife. We also have a licensed drone operator as part of our team, to bring a new perspective to our passengers.